The days of mass CD and DVD collections are over. The digital age is in full swing, and when it comes to buying games and applications these days it's mostly done online. This means that whilst 10 years ago pretty much every PC build would include an optical drive, these days buying a good optical drive for your PC build is not important at all. But if you still want an ancient drive in your gaming PC build to be able play DVDs/Blu-rays, old games, or to burn media, in this guide we'll cover what you need to know about choosing the best internal or external optical drive including our top value for money picks. Let's get straight into possibly the most vanilla uninteresting guide this site has ever seen. If you fall asleep, no offence taken. 2.3 - What DVD Drive Read/Write Speed is Good? 2.5 - Should You Buy a Blu-ray Optical Drive? 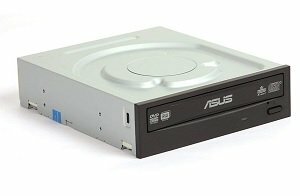 Firstly let's run through our current recommended optical drive models for both internal and external styles (and for both DVD and Blu-ray) should you need a helping hand finding a good value for money model for your new computer build. All the following models are what we would personally pick if including an optical drive in a PC build in 2018, although keep in mind these are the best overall bang for your buck models (ie cheapest yet decent-quality models that get the job done) and they aren't high-end picks. So if you have a need for the very best optical drive possible with the fastest burning speeds possible and perhaps with included software (keep in mind most drives you'll find for sale DO NOT come with software so you'll need to buy some) or other features, then keep that in mind and take our recommendations with a grain of salt. Keep in mind that if you're getting an internal optical drive, you'll need to make sure that your PC case is compatible with optical drives. Specifically, check your case has a spare 5.25" drive bay. Not all cases come with one so check your particular case. Without further ado let's get into some of the current best value internal and external DVD and Blu-ray optical drives for your money right now, which is followed up with tips on how to choose the right drive for your needs. Due to the rise in digital media consumption (read: games being bought online through Steam rather than getting a physical copy at the store) the need for DVD drives has vanished as a necessity when building a modern PC. But you might still want to be able to play and/or burn DVDs or Blu-ray discs, which in that case you'll be needing to get either an internal or external drive. Plus, make sure you choose a gaming computer case that has support for optical drives, as not all modern cases will. When buying an optical drive to play/write CDs/DVDs/Blu-rays, you have the option of getting either an internal 5.25" drive that will live in the front of your PC case and that connects to your motherboard with a SATA cable, or you could get an external drive that does the exact same thing but that will sit on your desk beside your PC/laptop and connects via USB. The "cleaner" choice would be to get an internal drive, as you won't have an external drive to worry about and you'll free up a USB port. But sometimes an external optical drive makes more sense instead, for example if you're using it with a laptop or if you already have a desktop that doesn't have the room and support for installing an internal drive. Performance wise, generally speaking there's no difference between internal and external drives for either reading/playing and burning/writing. Performance will come down to the specific model in question, and not whether a drive is internal or external. Price wise external drives are usually a tad more expensive, so there's that to consider as well if you're on a budget, however there are good cheap external drives too. So to summarize, it doesn't matter which type you get and will come down to personal preference and your particular setup. 2.3 - What DVD Drive Speed is Good? If you're picky about the speed of either the reading or writing of your drive, you'll want to factor this into your choice. Optical drives have varying speeds for reading, writing, and for writing different types of DVDs. We won't get into specifics here as it won't matter for most, but generally speaking 8X write speed should be your minimum for DVD burners, although if you want the best dvd burner possible get one with a write speed of 16x/24x. There are a range of DVD formats you can burn to such as DVD-RW, DVD+RW, DVD+R, DVD-R, and DVD+R DL. 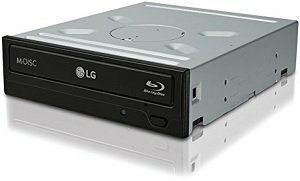 You need to consider what formats your DVD burner supports, as not all DVD drives can read and write all types of DVDs, to ensure it will support the format/s you'll be using to read/write. Firstly, the 'R' in the format type simply means the DVD is a writeable one, and the 'W' means it is re-writeable. So, DVD-R or DVD+R disks are recordable once, and a DVD-RW or DVD+RW is recordable AND rewriteable multiple times. Rewriteable disks are a little more expensive than plain 'R' disks, so it's up to you whether you need the rewrite functionality. Now, what is the difference between DVD-R/DVD-RW disks and DVD+R/DVD+RW disks (ie plus vs minus DVDs?). What is the best dvd recording format? Truth is, there is no real-world difference that will likely matter to you besides using a format that your optical drive support (but many/most support both). If you must know, years and years ago when DVDs were first being made there was no industry standard for them. Different companies were making different forms of DVDs hoping that their particular DVD type would become the main form. DVD-R and DVD-RW disks were made by Pioneer and data is only written to one layer of the DVDs surface. DVD+R and DVD+RW disks are supported by a few companies such as Sony, Dell, HP, Microsoft and Philips. As opposed to the '-' disks, the '+' disks has data stored on multiple layers of the disk. DVDs are read and written to with a red laser. The new Blu Ray format uses a blue-violet colored laser instead (hence the name). This new type of laser allows for a shorter wavelength than the old red laser used on DVDs, which leads to better precision and accuracy. This enables data to be written to a disc in a more compact manner, which allows more data to be written. That's why Blu Ray discs can hold more data than a DVD, even though they are the same in physical size. How much more exactly? More than 5 times more storage space than a regular DVD. A single layer Blu Ray Disc (BD) can store 25GB and a dual layer disc can hold up to a whopping 50GB. When Blu-ray first came out many thought it would become the new standard and become a hugely popular format, and whilst it did become semi-popular, as of 2018 it's all downhill from here for Blu-ray (and DVDs) due to the rise and rise of digital media and streaming. Physical media is dying day by day. Therefore, if you don't already have a Blu-ray collection you want to use on your new PC, there's absolutely zero need to get a Blu-ray drive for your system. As mentioned before, even a DVD drive is hardly needed these days for a PC build and most builders exclude them from their parts-lists.